Many years ago, when I lived in Stoughton Wisconsin, there was a coffeehouse named Java Junction. They had a frozen coffee drink called a "Big Train". I really enjoyed them, but I didn't have one very often. They were loaded with calories. Years ago I found the powdered mix, but it was expensive. I tried to make them at home with less calories but always failed. They were usually tasteless and icy. I kind of forgot about them until recently. My daughters told me that they really enjoyed Mcdonald's iced coffee. Last week we stopped in, and I bought one. I got the sugar free vanilla. It had 90 calories and tasted delicious. It was similar in taste to the Big Train without the frozen ice cream shake texture. I went home and tried again. I think I came up with a good iced coffee that was decaffeinated and sugar free. Many of you may already do this, but I am really enjoying this refreshing drink. I bought good decaf coffee. 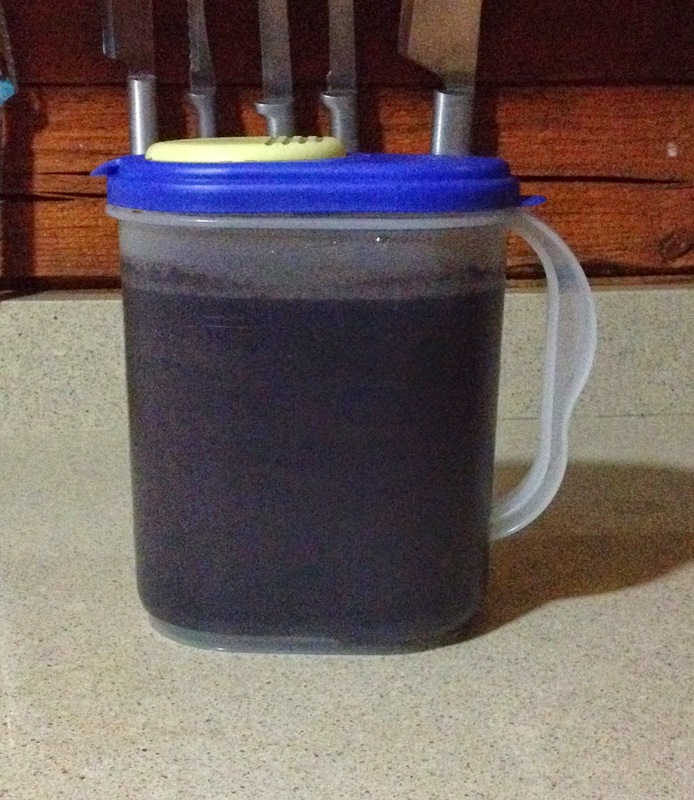 Put the ground coffee into a pitcher of cold water. Stir it up and sit it out at room temperature for eight hours or overnight. The key to this recipe is to use very strong coffee. I would always use cold brewed coffee, and the ice would water it down too much. The 2 quart pitcher I used. 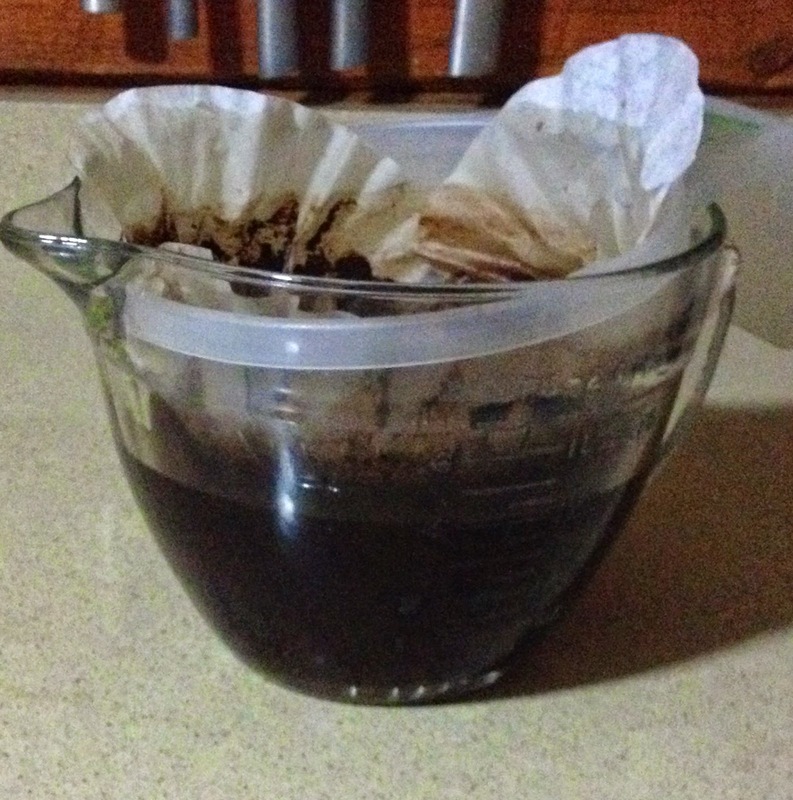 In the morning, I took a sieve and lined it with coffee filters. I didn't want any coffee grounds sneaking through. Cheese cloth would work too. Slowly I poured the coffee through. Filtering the coffee grounds out. 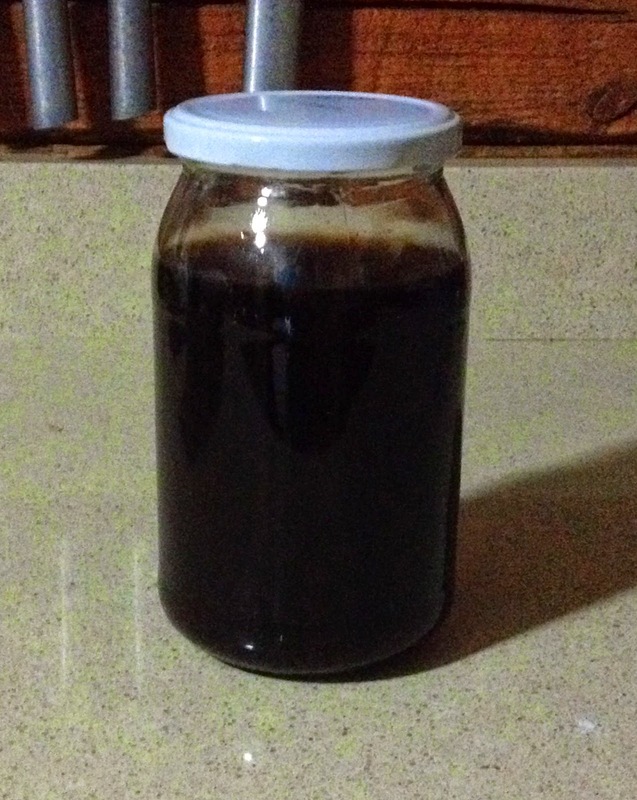 The finished liquid is a very concentrated strong coffee. I poured it into 2 one quart jars and stored them in the refrigerator. I filled the glass with ice. Fill the glass 3/4 full with the coffee concentrate. At this point, if you like your coffee with cream and sugar. Just prepare it that way. I bought some delicious sugar free caramel macchiato coffee creamer. It only has 15 calories for a tablespoon. I guess you can sweeten as much as you wish. I drink my hot coffee black, but I need the iced coffee to be sweet. I used 2 tablespoons of creamer. If you like coffee, this is a great treat. It doesn't have to be iced. Just add some water to this concentrate and heat it up. You can have a quick cup of hot coffee.